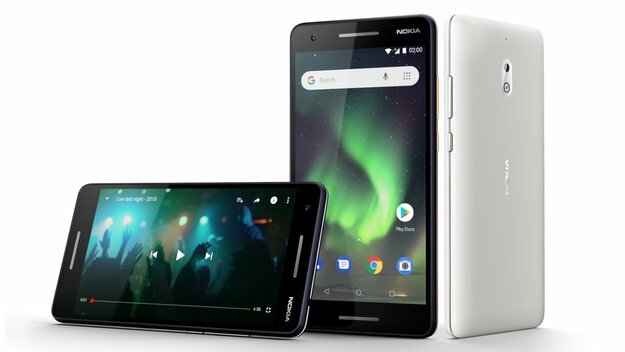 A number of people who joined in frandroid.com claimed to have the opportunity to taste directly with smartphones are touted Nokia 9. Looks very clear, smartphone units are covered by a frame. Of course, it adds a lot of curious people, especially with its design. Although slightly covered with a frame dominated by blue, Type-C USB port and a 3.5mm audio jack seems deliberately to be shown. In addition, the smartphone is also equipped with a physical home button that is most likely already adopted the fingerprint sensor. The smartphone has a 5.3-inch landscape display with qHD resolution (2,560 x 1,440 pixels). However, referring to the data generated by CPU-Z application, it is mentioned that this smartphone has a 5.27-inch landscape display precisely. One reviewer incorporated into frandroid.com also mentioned that the maximum brightness level of the screen is 530 nits smartphone. Moreover, the alleged Nokia smartphone 9 is also reportedly features the Always-on-Display. Other leaks that are not less interesting, this smartphone will be equipped with Snapdragon 835 chipset combined with 4 GB of RAM and 64 GB of internal storage. While the operating system used is Android 7.1.1 Pixel Nougat with similar launcher that has a display icon Nokia Blue. In the photography sector, seen the smartphone is equipped with dual-camera that rumors each have the same resolution, the 13 MP. At the bottom of the camera lens, embedded laser autofocus and dual LED flash. In the sales package, the smartphone is equipped with an earphone and charger with Quick Charge 3.0. Intrigued by the price offered? It is estimated that, this smartphone will be sold at a price of US $ 700, or about 9.3 million. Bagimana do you think this semartphone very worth the wait presence?